Background: Networking at scale has embraced new challenges with the emergence of large scale data centers in the dawning era of Internet cloud computing. The computing platform in such data centers consists of low-cost commodity servers that, in large numbers and with software support, match the performance and reliability of expensive enterprise-class servers of yesterday, at a fraction of the cost. The network interconnect within the data center, however, did not see the same scale of commoditization or dropping price points over much of the last decade. The previous generation of data centers use expensive enterprise-class networking equipment and follow best-practices that were not designed for the requirements of Internet-scale data center services — they severely limit server-to-server network capacity, create fragmented pools of servers that do not allow any service to run on any server, and have poor reliability and utilization. The commoditization and redesign of data center networks to meet cloud computing requirements is an emerging frontier of innovation in the data center. Innovations in Data Center Networking: Recent research in data center networks addresses many of these aspects involving both scale and commoditization. By creating large flat Layer 2 networks, data centers can provide the view of a flat un-fragmented pool of servers to hosted services. By using traffic engineering methods, based on oblivious/adaptive routing techniques and hybrid packet (electrical)/ circuit (optical) switching, on specialized network topologies, the data center network can handle high bandwidth, arbitrary and rapidly changing, communication patterns between servers. By making data centers modular for incremental growth, the up-front investment in infrastructure can be reduced, thus increasing their economic feasibility. Some other emerging trends include energy proportionality for greener data center networks and Software Defined Networking (SDN). This is an exciting time to work in the data center networking area, as the industry is on the cusp of big changes, driven by the need to run Internet-scale services, enabled by the availability of low-cost commodity switches/routers, and fostered by creative and novel architectural innovations. What does a Cloud Data Center Look Like? Dr. Sudipta Sengupta is currently at Microsoft Research, where he is working on data center systems and networking, non-volatile memory for cloud/server applications, data deduplication, and storage virtualization. Previously, he spent five years at Bell Laboratories, Lucent Technologies, where he advanced the state-of-the-art in Internet routing, optical switching, network security, wireless networks, and network coding. 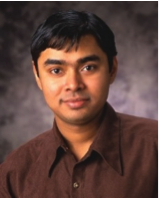 Dr. Sengupta was awarded the IEEE William R. Bennett Prize for 2011 and the IEEE Leonard G. Abraham Prize for 2008 for his work on oblivious routing of network traffic. At Bell Labs, he received the President’s Teamwork Achievement Award for technology transfer of research into Lucent products. His work on peer-to-peer based distribution of real-time layered video received the IEEE ICME 2009 Best Paper Award. At Microsoft, he received the Gold Star Award which recognizes excellence in leadership and contributions for Microsoft’s long term success. Dr. Sengupta is an ACM Distinguished Scientist. He serves on the Editorial Board of IEEE/ACM Transactions on Networking and IEEE Network Magazine. He received a Ph.D. and an M.S. from MIT (Cambridge, USA) and a B.Tech. from IIT-Kanpur (India), all in Computer Science. He was awarded the President of India Gold Medal at IIT-Kanpur for graduating at the top of his class across all disciplines.